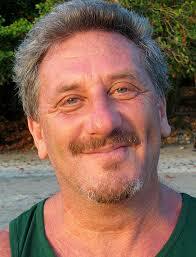 Originally from Buenos Aires, Marcelo Mansour is a Vibrational Healing & Tai Chi Master. He has a deep passion for music and composing with 25 years experience teaching Tai Chi and energy healing. After studying at the Manuel de Falla Conservatory of Music, he followed his passions and used his gifts to create a distinctive and expansive healing process. Marcelo teaches in 5 countries: Mexico, Argentina, Spain, United States and Costa Rica and gives seminars using instruments such as Didgeridoos, Tibetan Bowls, Flutes, Djembe, Tambura and the Voice. Marcelo is also a member of the Scientific Committee for the Foundation of the Beginning of Life, a foundation dedicated to humanizing birth. He also assists cancer patients undergoing chemotherapy treatments at the Tortosa Hospital in Barcelona.